A hair extension wholesaler that helps clients launch and run their own hair extension companies by providing products, branding, websites, and drop shipping. Private Label Extensions is a USA based wholesale hair extension and beauty company that helps stylists and Entrepreneurs launch, supply, and manage their brand. Our approach is to walk our clients through every step of getting started in the hair industry with branding, packaging, wholesale products, website, and education. We have created the most cost-effective ways to manage a hair business by pairing our website and app services with drop shipping from Atlanta. 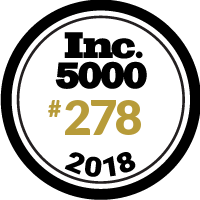 Being recognized as one of the fastest growing companies by INC is a true milestone as an Entrepreneur.